The primary purpose of colostrum in nature is to protect newborns from harmful local pathogens. 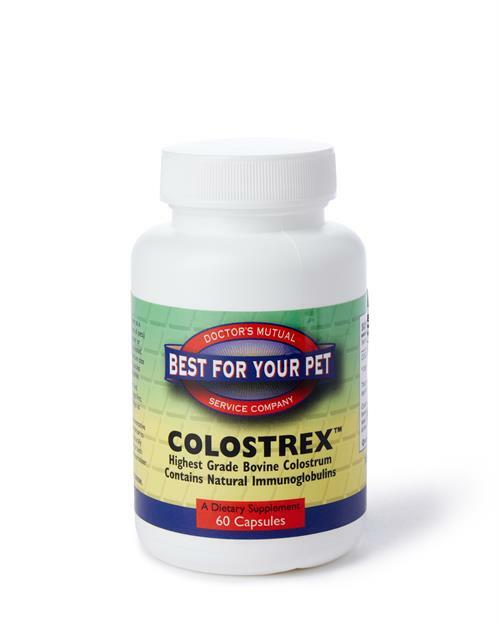 Colostrex actually promotes gastrointestinal healing while eliminating pathogens that cause pain and discomfort to our pets, places where drugs like Flagyl™ fail. Colostrex™ can stop most forms of chronic pathogen-induced diarrhea within 72 hours. 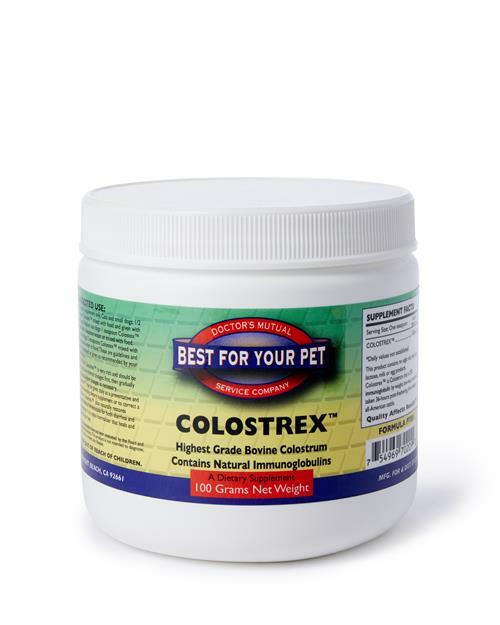 The best work of scientists around the world suggests that the 4 major components of colostrum are what confer intestinal immunity to newborn mammals. The 'glycoconjugate fraction' distracts pathogens and prevents them from settling on the intestinal wall; the 'immunoglobulin fraction' tags them for immune attack; the 'lactoferrin fraction' withholds neccessary iron from them, and the 'growth factor fraction' actively promotes healing. Really has out performed my expectations. One of my 3 Min Pins was recently diagnosed with IBD. After months of on and off diarrhea and soft stools, this product has helped restore his bowel movement to normal. Thumbs up! Great product to build immune support.